Sacred Earth Celebrations is an inspiring book that explores the eight Celtic festivals, and many ideas to deepen our connection with the Earth and each other. This is a revised and updated version of Glennie Kindred's Sacred Celebrations. An uplifting and inspiring book for everyone who celebrates the Earth's seasons and cycles. 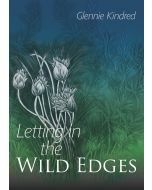 Exploring the eight Celtic festivals, Sacred Earth Celebrations shares how they were celebrated and understood, the Earth's underlying change of energy and how we can use this to create meaningful celebrations for today, so that we can deepen our connection to the Earth and our fellow human beings. Glennie encourages us to share and participate in the power of Nature and focus on spiritual regeneration and healing. Sacred Earth Celebrations deepens our understanding of the five elements, the rhythms of the moon, Earth's energies and sacred landscapes and meditation. Glennie shares ways to create sacred space both inside and outside, with celebrations for children, crafts, song and dance, to building labyrinths and many other creative activities to connect to the Earth and each other.